Please take a moment to listen to these chants. Fell free to follow along. Our St.Johnsbury yoga studio offers a wide variety of yoga classes, from introductory yoga workshops to advanced yoga sessions that focus on flow and alignment for those who prefer a challenge. We are excited to offer easy online registration for our classes and workshops, right here on our website! Please view our class schedule to sign up a class that works for you. If you have any questions, don’t hesitate to get in touch. 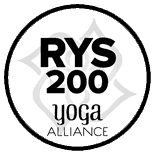 - A wide variety of yoga classes to fit your mood and lifestyle! Sign Up For Our Mailing List to hear more about our specials! Join our mailing list to stay up to date with what's happening at Heart Space Yoga & Movement Center.